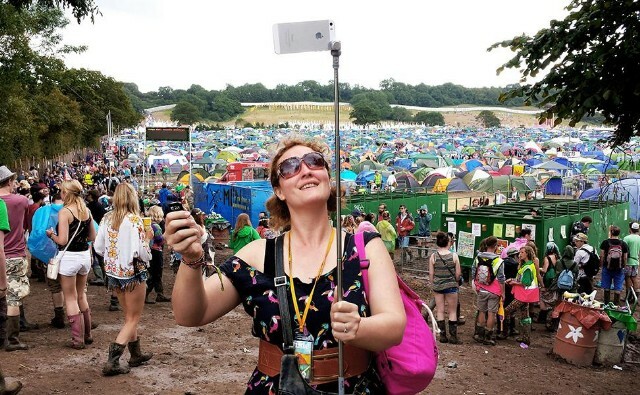 I honestly don’t think I’ve seen a selfie stick in real life — maybe I’m just not looking hard enough? — but they’re the latest tech gadget to draw significant ire from the general public at large, so much so that Coachella and Lollapalooza have decided to explicitly ban them from their festivals this year. As Brooklyn Vegan points out, they are listed under the prohibited items section of both events, with Lollapalooza taking a more diplomatic route and saying that no “GoPro attachments, selfie sticks, & monopods” will be allowed, while Coachella is far more to the point: No “Selfie sticks / Narsisstics [sic].” So if you’re planning on going to either festival, leave the selfie stick at home and use your arm like any self-respecting individual.